Every year around this time Pretorians are treated to a purple haze of Jacarandas in bloom. Your Facebook and Instagram feeds get bombarded with purple hues and inspirational quotes about love and life and sometimes even the pending urgency of much needed rain in the capital. 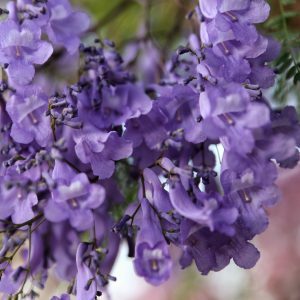 We thought, as self appointed louwkul experts on Pretoria, it is sort of our job to point out a few fun facts about the Jacarandas. Various versions of the tale does the rounds but in 1888 two Jacaranda Mimosifolia saplings were imported from Rio de Janeiro by a Cape botanist, Mr Templeman. These were planted in the Garden of Myrtle Lodge owned by a Mr JD Celliers of which the location today is on the Sunnyside School campus at 146 Celliers Street. 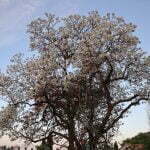 For obvious reasons the trees became a famous spectacle and in 1906 the first official Jacarandas were planted in Bosman and Arcadia streets by the municipality. 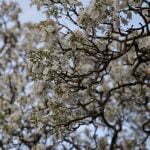 By 2003 it was said that 17% of urban trees in Pretoria were Jacarandas. Believe it or not but before the purple layer, around 1870, Pretoria was known as City of Roses. This was apparently due to the ideal growing conditions, needless to say Pretoria has become Jacaranda city. We have Jacaranda FM, Jacaranda centre, Jacaranda hotel, Jacaranda everything. The purple has also become a brand in Pretoria and the greater Tshwane area. It is estimated that there are currently between 40 000 and 70 000 Jacarandas in the city. Madiba officially mentioned Jacarandas twice. Not only did Madiba enjoy the shade, in Government ave towards the east of the Union buildings you’ll find the only place where a double row of Jacarandas were planted on both sides of the street. This phenomenon was to thoroughly shade the sidewalks for Government officials walking back to their residential area, Bryntirion Estate. Needless to say very little walking is happening these days. Not to get too technical but in a seemingly scientific study of Tshwane’s 114 suburbs with Jacaranda trees, it was calculated that the trees deal with 41 978.625 t CO2eq. Full disclosure, we don’t understand this further than knowing that the trees eat your emissions. Someone click the link and maybe put this in context of how many cars emissions get absorbed per tree. White Jacarandas – Say what!? True story, while the city turns purple one street goes white. Herbert Baker Street in Groenkloof, boasts almost 100 white Jacaranda trees. Said to be sterile they were imported by a Pretoria resident, H. Bruinslich, from Peru in 1962. This is no joke, come end of season when the flowers start dropping in their masses, this turns into a serious issue for motorists. 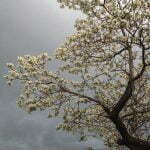 The flowers paired with the typical afternoon rain storms in Pretoria are a slippery combination and have caused many bumper bashings in peak time traffic. You’ve been warned. It’s been rumoured that Johannesburg has more Jacarandas than Pretoria… Please! It is also believed that during exam times, like now, if a Jacaranda flower drops on your head you’ll pass all your subjects. Considering the current #feesmustfall strikes, students are probably just holding thumbs to write exam at all. 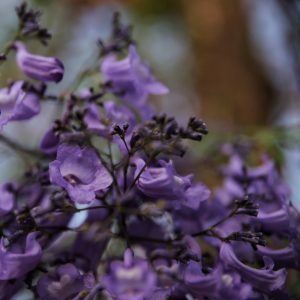 In 2001 Jacarandas were declared a category 3 invader and residents were up in arms at the thought of losing these trees that have become such an integral part of our city, heritage and culture. The rating which basically means they can’t be replaced after disease, death or removal isn’t an immediate threat. 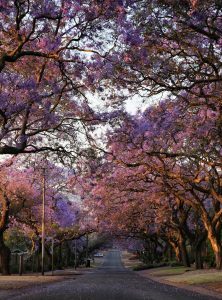 Considering the tree’s life span of 200 years, at best we have around 90 years of purple left in Pretoria. There’s a good month of purple petals left and at least now you’ll be informed, heck you might even post a photo with an clever quote. Go ahead and tag us in it, let’s see what you’ve got and where your favourite spots are. There was a M study at TUT also about the lead deposits on the bark of these trees. I cannot give any detail anymore, just did the quality assurance of the text back then. Sounds technical, needless to say seems like the Jacarandas are the good guys. The Jacaranda Tree was introduced by the Baron Carl von Ludwig! Walter, you are indeed correct for the Cape region. 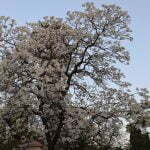 The Pretoria ones were from Templeman and the trees the Municipality planted were actually imported from Australia. Thanks for your info. Nice to know my grandfather, Harry Bruins – Lich was involved again in Pretoria’s horticultural history! Thanks for the info, will definitely update it and next year we’ll have a little map for people to visit the best spots. I thought Bloem were the City of Roses?